New in theaters for July 28, 2017 "The Emoji Movie" and "Atomic Blonde"
Hidden within the messaging app is Textopolis, a bustling city where all your favorite emojis live, hoping to be selected by the phone's user. In this world, each emoji has only one facial expression - except for Gene, an exuberant emoji who was born without a filter and is bursting with multiple expressions. Gene embarks on a journey in hopes to find an app that will make him a regular Emoji. 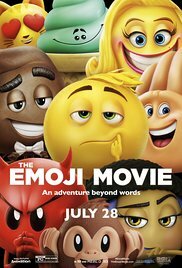 “The Emoji Movie” is possibly the worst animated film so far this year. Yes even worse than “Spark: A a Space Tale.” The Emoji Movie lacks integrity, story and the very emotions the film's characters represent. The film is a total waste of your time and hard-earned dollars. It gets an F and is rated PG. A high-stakes, global action-thriller that takes place in the city of Berlin, on the eve of the Wall's collapse and the shifting of superpower alliances. Charlize Theron portrays Lorraine Broughton, a top-level spy for MI6, who is dispatched to Berlin to take down a ruthless espionage ring that has just killed an undercover agent for reasons unknown. “Atomic Blonde” is a slick spy thriller with so many twists you could open a wine bottle with it. Theron is perfectly cast as the centerpiece in this classy updated noir film. She is both ruthless and sensitive at the same time. She is balanced out by James McAvoy's wildly erratic performance as an operative stationed in the streets of Berlin. The film's strengths comes from its tightly woven intelligent script by Kurt Johnstad and pacing executed by its director, David Leitch. 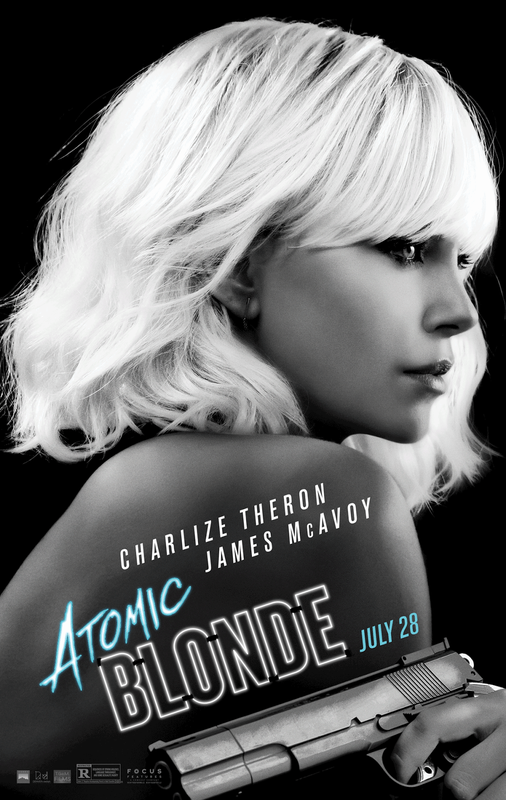 “Atomic Blonde” is one hell of a ride. It gets a B and is rated R.